Our Ork Armour set consists of a breastplate, backplate and a pair of pauldrons. 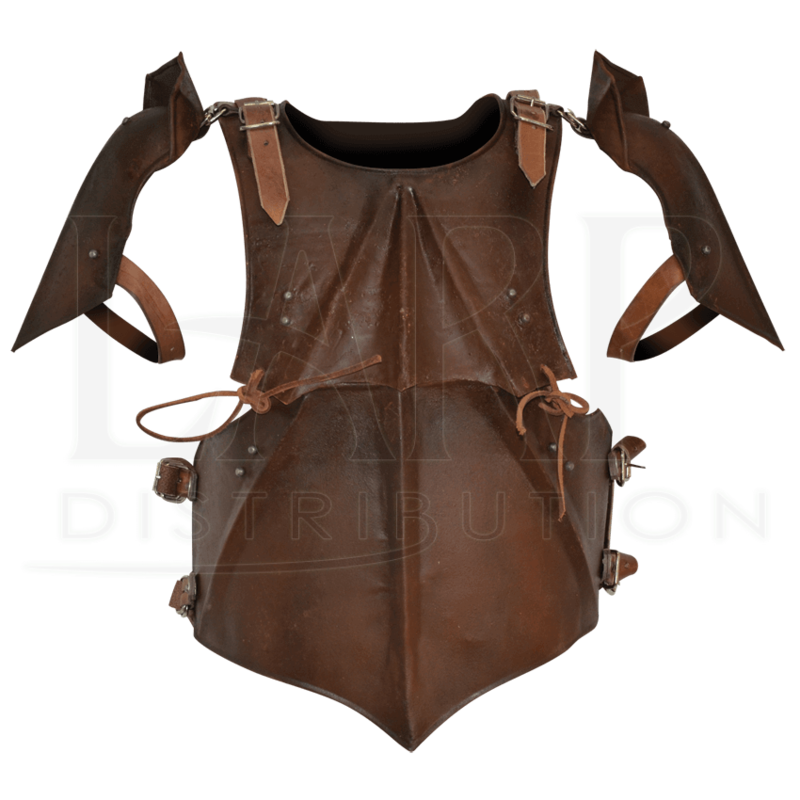 The Ork breastplate is made up of two pieces that lace together and have symmetrical creasing in the steel to provide the traditional Ork look. The backplate is crafted from padded leather. The Ork pauldrons are crafted of the same steel the breastplate is made from and attach to the breastplate at the top of the shoulders and also have a leather strap to secure them to your arm. The breastplate and pauldrons are made from 18 gauge steel that has a very unique rust patina finish which is perfect for any Ork character. We recommend any of our gambesons to be worn under the armour for comfort and ease of movement without any pinching. It is great for LARP, Theater, Costumes, and the SCA. Check with your local chapter for approval. 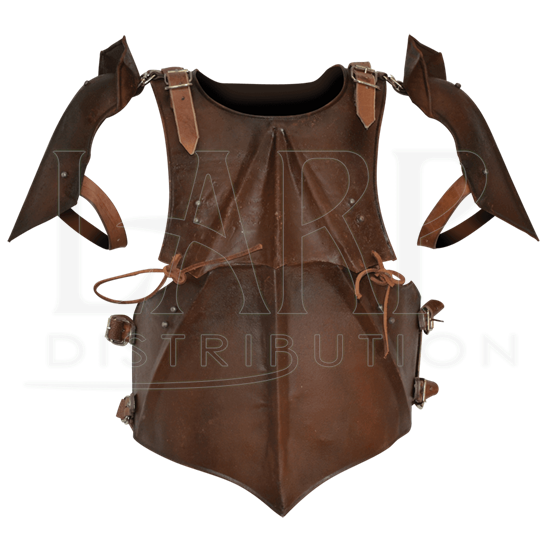 Measurements are of the armour only and do not include the straps or buckles. This is the minimum size. Straps and buckles allow for the armour to fit larger than the measurements listed. Remember to measure yourself with your gambeson on. The Item is very durable and has already taken some good hits while being used, hardly felt a thing with it on. 10/10 would recommend.